French wine routed through bulk wine trading company Raphael Michel is under investigation for an alleged multi-million-pound fraud operation involving as much as 30 million litres of the alcohol. 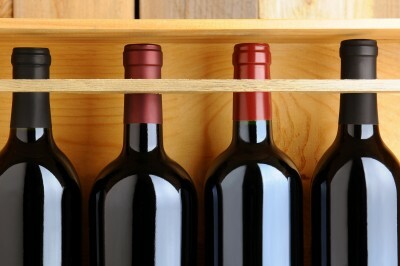 It is alleged that cheap red table wine was being relabelled and passed off as premium wine. Head of Raphael Michel, Guillaume Ryckwaert (39), was arrested at the end of June and later released on a €1m bail and placed under supervision. He is facing charges of fraud, deception and violations of France's consumer and tax codes. It is understood that other senior managers were also taken into custody but were released without charge. Ryckwaert stands accused of masterminding the racket since October 2013 where it is alleged that around four million cases of low-quality table wine were rebottled and sold with labels purporting to be premium wine from the Rhone region, including Chateauneuf-du-Pape and Cotes du Rhone. The bottles were being sold for as little as £20 and for as much as £100. Estimates suggest that up to 40 million bottles may have been sold since the scam began with many reaching other European countries, including the UK. A number of retailers in France, including supermarket chain Carrefour, have cancelled supply contracts with the wine trader, according to local media reports. No winemakers from the Rhone region have been implicated in any wrongdoing. Raphael Michel, one of France's largest bulk wine traders, based in Piolenc in Provence, sources wine from more than 4,000 growers in the Rhone Valley, Provence, Languedoc-Roussillon, as well as south America, while it supplies to countries including Australia, South Africa and Europe. The company has posted exceptional sales results – up to 30 per cent increases a year – since Ryckwaert took over the business in 2003. The alleged counterfeit operation first came to the authorities' attention last year when French customs officials found discrepancies in a routine audit, which sparked an investigation. According to reports, paperwork filed by Raphael Michel revealed inconsistencies and potential violations. Deputy prosecutor Jean-Francois Mayet told Wine Spectator that the case could drag on for more than a year and suggested that based on the volume of wine handled in the fraud, more individuals could be implicated in the scam, saying there are other people in the company who will need to be questioned. Ryckwaert denies any wrongdoing. French media reported his lawyer Olivier Morice saying that the chairman, who has stood down during the course of the investigation, had many 'jealous rivals' who might have wanted to affect the business' success. Meanwhile, media reports say concerned Rhone producers have joined the prosecution as a civil party. According to a statement, the Syndicate of Vignerons of the Cotes du Rhone et Cotes du Rhone-Villages, the region's winegrower's union, is now taking civil action against Raphael Michel and has been speaking to winegrowers who may have been victims of the fraud. "We are aware of the grave allegations against the company, Raphael Michel. It is unthinkable for us to not be party of a procedure that directly endangers winegrowers, including those we ensure to protect. We will not let our vineyards be victims of fraud, nor our AOC [protected designation of origin certification] be derided," said Philippe Pellaton, president of the union.